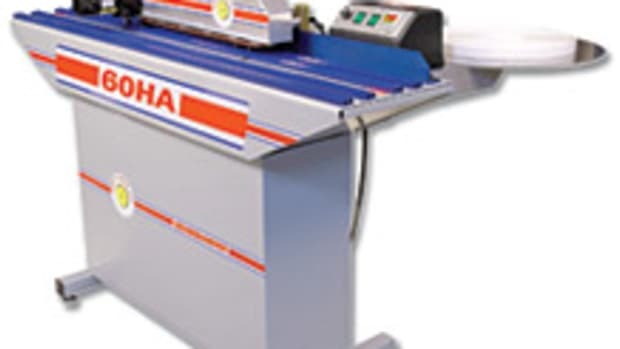 Adwood Corp. has expanded its Pro Series line of edgebanders with the addition of the Cehisa Pro 11, what the company states is the "most advanced edgebander in the Pro Series." Recently introduced at Xylexpo in Milan, Italy, the machine made its American debut at IWF 2010 in Atlanta. 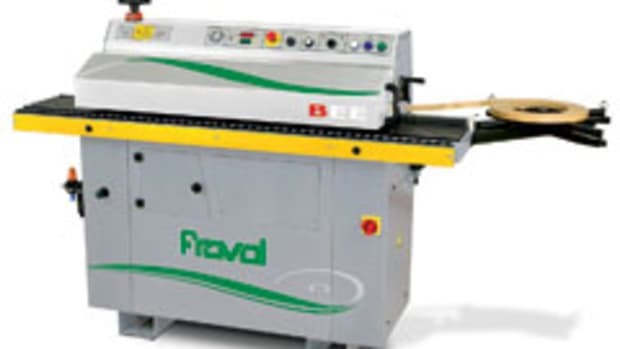 The Pro Series features premill, end trim, top and bottom trim, one-motor corner rounding, radius/straight scrape and buffing, as well as a programmable logic control with a protection program for panel misfeed, event log, a self-diagnostic error program and LCD screen. "It has one-motor corner roundings with THK guides," says Adwood president Rudi Stockinger. "You have a radius/scrape end so you can clean off the glues, an LCD touch screen on it that gives you all the functions and a front-loaded glue pot. 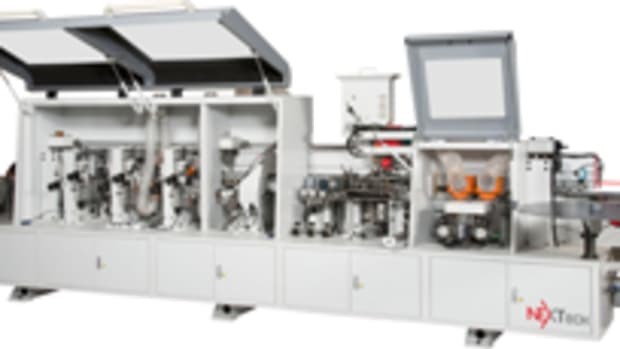 The glue pot is Teflon-coated, has a heating time of 10 to 15 minutes and the machine automatically goes to &apos;rest&apos; position if nobody works on the machine. That brings the temperature down to an 80- or 90-degree level so you don&apos;t overheat your glue. It gives the glue a much longer pot life." 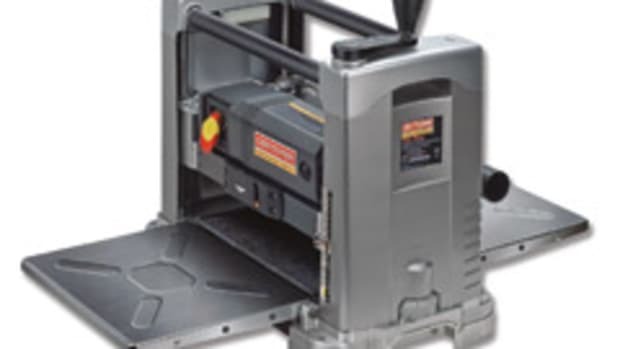 The machine is designed for commercial shops with between three and 10 employees. 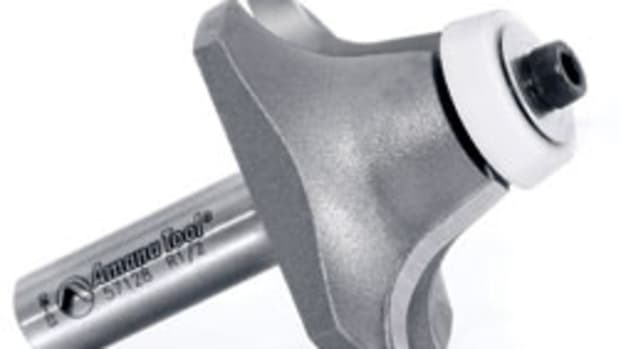 Shops that do corner roundings by hand can realize a significant cost savings with the Pro 11, according to Stockinger. When the panel exits the edgebander, it is finished. There is no need to put it on a workbench and start cleaning the corner roundings with hand tools. "They did commercial jobs with 3mm capability with corner roundings before by hand and realized how much work it was. 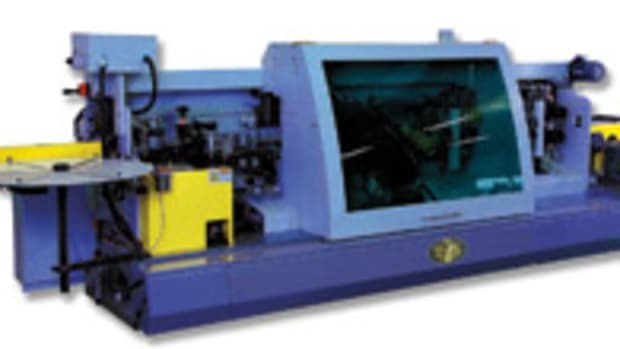 Now they are operating with a small edgebander ... if you look at the machine with the corner rounding, it is approximately a $10,000 upgrade from the model before, but it is a machine that will give you a more consistent job than your manual labor will do and it&apos;s not such a big investment. If you think over five years and saving about $2,000 a year and you have one big commercial job, you will be standing there for three or four days and the machine pays for itself. It also gives you the opportunity to bid on other jobs that you couldn&apos;t have bid on before." 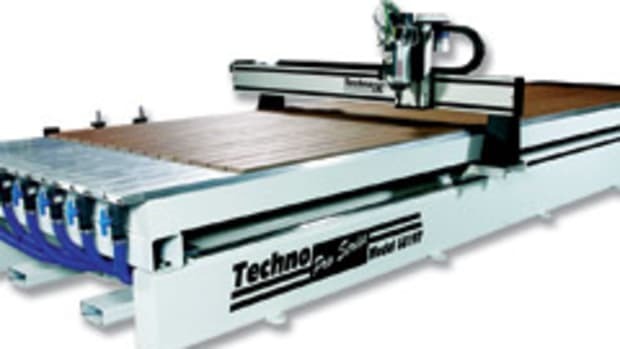 The edgebander is capable of using most tapes including regular PVC, wood veneer and ABS on panels of up to 2" in height. 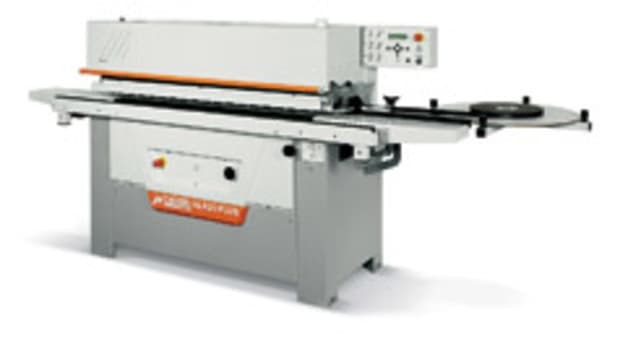 The Cehisa Pro 11 Series edgebander is priced at $39,000.